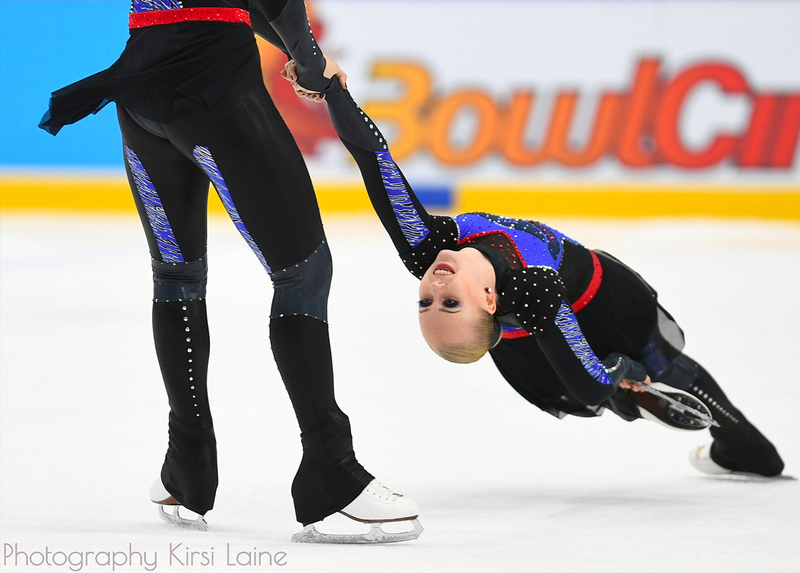 Swiss and Italian teams competed in Biasca last weekend like the Mixed Age team Snowflakes (photo). The last Swiss competition was held on Sunday 18 March 2018 in Biasca (TI). The 19 teams in the running (including 5 from Italy) did not disappoint the public and the judges by presenting great programs. The competition started with the Basic Novice category, where the 3 teams presented exciting programs. The victory went largely to the Italians of Team Olimpia (35.55 points). 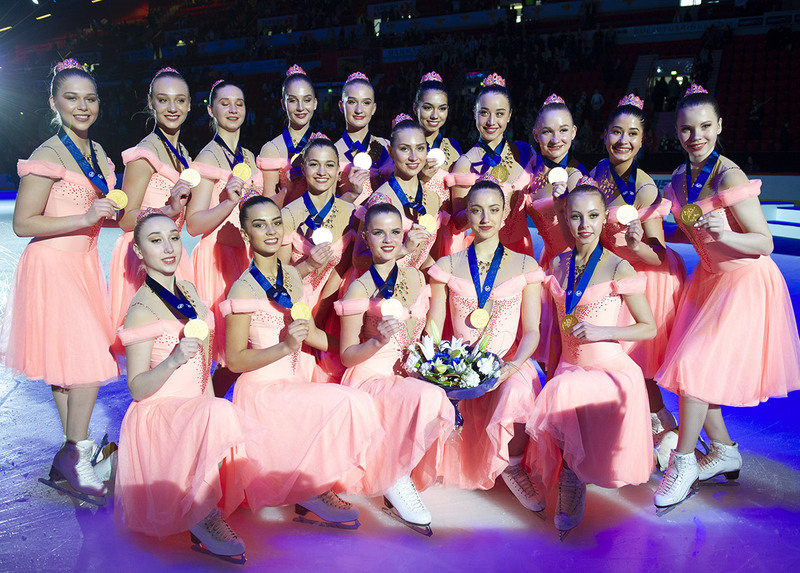 The Bernettes (SUI) took the 2nd place with a total of 26.40 points. They are closely followed by another Italian team, the Ladybirds Basic Novice 2 (25.78). It was then up to the Juvenile category to enter the competition. And this time again the victory went to the Olimpia team (ITA), with 30.46 points. The Cool Dreams Juvenile (SUI) and Starlight Juvenile (SUI) completed the rankings of this competition by obtaining respectively 24.91 points and 19.89 points. Then it was up to the Mixed Age to compete. This category was by far the most interesting of the competition because 8 teams were competing, and... what a level! Team Ice Phoenix (SUI) was the first to enter on the ice, presenting its program on the theme of the restaurant. They scored a total of 45.00 points. Then it was the time for the Olimpia team to compete. Despite some small errors, the team presented a lively program, which allowed them to obtain a total of 45.02 points. The United Blades (SUI) from Neuchâtel proposed a good program on the theme of Narnia and obtained 44.59 points. The Italian of Frost Fairies presented a fast and very well executed program. This allowed them to obtain a total of 55.43 points. The Ice Storms (SUI) scored 45.48 points. 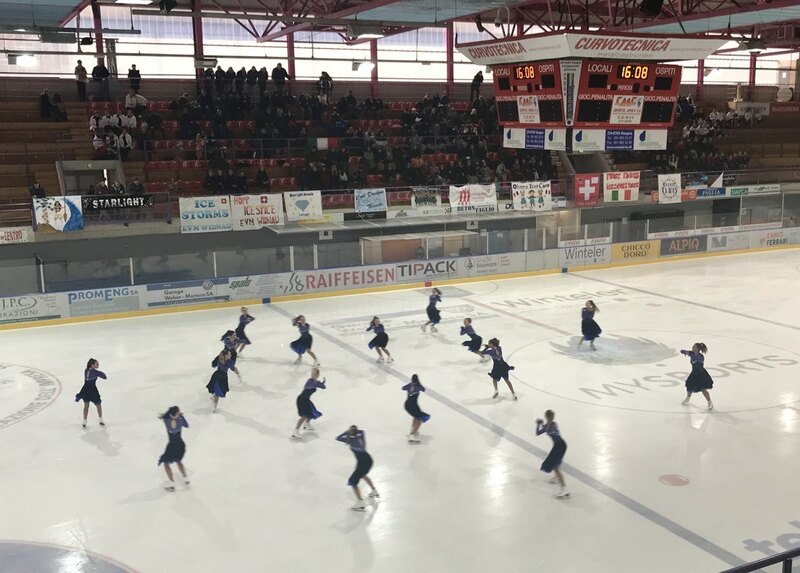 It was then up to the Bernettes (SUI) to show their program, the girls completed a high-quality program that allowed them to total 44.83 points. To finish this very tight competition, there were only the two unbeatable teams left this season; the Starlights (SUI) and the Snowflakes. 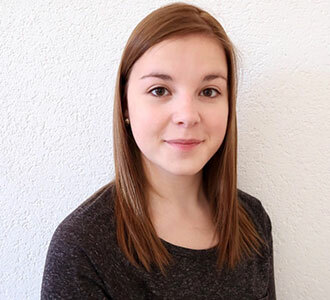 (SUI). After two very well executed programs, the victory went narrowly to the Snowflakes with 58.59 points. Team Starlights from Zurich follow them closely with 57.53 points! In the Novice Advanced category, the level was also very high. The gold medal went to the Cool Dreams (SUI) who plunged the public into the atmosphere of the ocean by presenting a program on the SeaWorld Attraction. Second place went to the Ice Spices who skated to Caravan music. The third place went to the Starlights (SUI) who presented a challenging program on the different music of Bruno Mars. The competition ended with the Senior B category, where 2 Swiss teams were in the running. The victory went largely to Starlight Senior, with 70.07 points. The second place went to Starlight Jewels (60.96 points). For some Mixed Age teams, the season is not over since the Mixed Age Trophy will take place in one month in Italy. But for the others, it's already time to think about next year, which promises to be very beautiful again!